Associates in Nursing vs. Bachelors in Nursing Degrees: What's the Difference? The moment you realized that you wanted to be a nurse, you started down the path towards a rewarding and fulfilling career of helping others. Unfortunately, deciding on a nursing career and becoming qualified to obtain one are two different things entirely. Nursing requires training, education and commitment. To be eligible to take the state certification exam and ultimately become licensed as a nurse, you must earn an Associate of Science in Nursing (ASN). To take your nursing career to the next level, you can then obtain a Bachelor of Science in Nursing (BSN). Continue reading to better understand the difference between the two so you can make an informed decision regarding your education and career. An ASN is an entry-level education credential that qualifies the bearer for employment as an RN. ASN programs take approximately two years to complete, with curriculum covering necessary training, care strategies and more. Upon completion of an ASN program, graduates are ready to apply for state licensure and examination. A BSN is a higher educational credential than an ASN and requires approximately four years to complete. BSN programs cover the same material as an ASN curriculum, but with greater depth and added training in leadership, case management, information management and more. In many cases, BSN candidates can choose to focus their learning in a specific type of healthcare. Cambridge offers a full time ASN to BSN program for nurses that already have their Associates of Science in Nursing degree and are registered nurses but are looking to obtain their Bachelor of Science in Nursing. There’s really no one right or wrong answer to the question of which program you should undertake to pursue your career as a nurse. Your career goals: As you likely know, there are many different types of nurses, including registered nurses, licensed practical nurses, nurse practitioners and more. The nursing position you wish to pursue will impact your education options—for example, an individual qualifies for many RN positions with an ASN, but to become a nurse practitioner, a BSN or additional education is needed. Commitment level: ASN programs typically take two years to complete. BSN programs require four years in most cases. Understanding the time commitment of each option and your willingness to make it are important when choosing a degree program. Employer preferences: While graduates of ASN programs do qualify for many RN positions, more and more employers are leaning towards candidates with BSN and higher degrees. While it certainly is possible to obtain an RN position with an ASN, it may be easier to do so with a BSN. Tuition costs: The cost of a nursing degree is an important consideration for many students. In many cases, an ASN costs less than a BSN due to the credit hours and classroom instruction required of each program. It may help to remember that financing and scholarships are available to help offset the costs of your education. It may help to remember that it is possible to earn advanced degrees after you gain employment as an RN. Should you decide to pursue additional opportunities in the nursing field, an ASN degree is a necessary stepping stone toward a BSN or other degree. Struggling to Make a Decision? Help Is Available. If you already are considering an ASN, or already have your ASN and would like to pursue a bachelor’s degree to further your career, took to our schools. 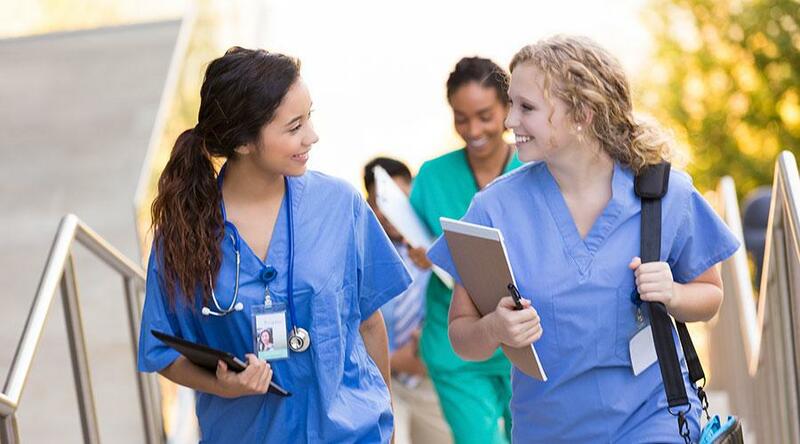 If you are unsure of the route you should take, discus your nursing career goals and education options with an advisor from Cambridge College of Healthcare & Technology can help shed light on the best course of action for your future.